The hastily unveiled new logo sits on the famous gable of the Jimmy Sirrel Stand. The old and new worlds collide ! ...seems simple when you think about it. Buy the club on the cheap, invest just enough to get the team up into the Championship where it will be seen worldwide and put the cash into Asian merchandising. The deal was accepted, the new owners moved in and soon installed a massive name as figurehead - ex England manager, Sven Goran Ericksson. With his arrival came the press interest, back pages, Sky Sports etc - just the sort of things you need to grab the attention of the world for your product. Out went the old sponsorship deal and a new shirt manufacturer - Nike. The giant was lured by the chance to run the Notts shop and in the future, move its product into a worldwide market. 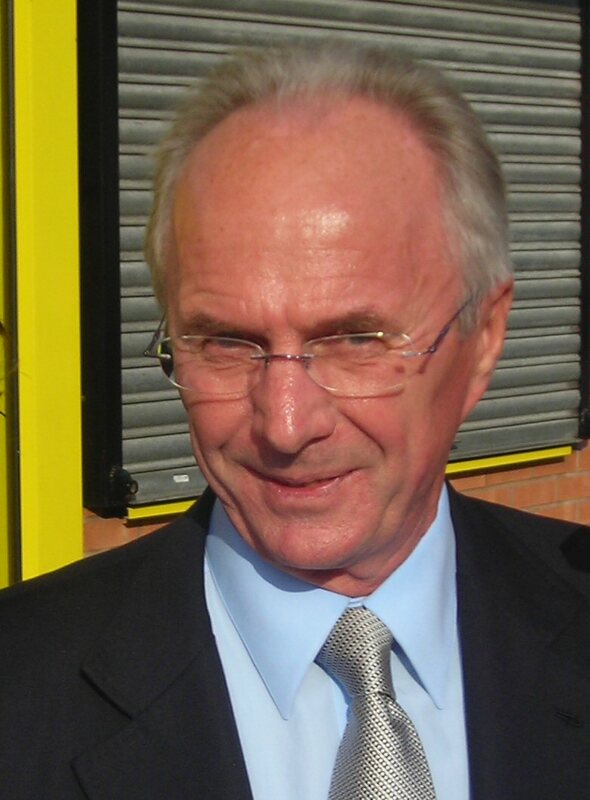 I wonder what odds you would have got on Sven joining Notts as Director of Football in the close season ? With him installed, the press very quickly became interested until a 5-0 opening win made them turn their cameras onto the pitch. Naturally enough, the good fortune didn't last. No one knew what happened to the big name signings or unlimited cash promised by the new owners but the whole lot vanished, almost overnight, leaving their figurehead Peter Trembling to carry on. He claimed he still believed in the dream - in Project 2012 as the vision was called. What exactly this entailed was never clear but it seemed to focus on the ease with which a team at Championship level could market itself as a product with it's matches shown all over the world. 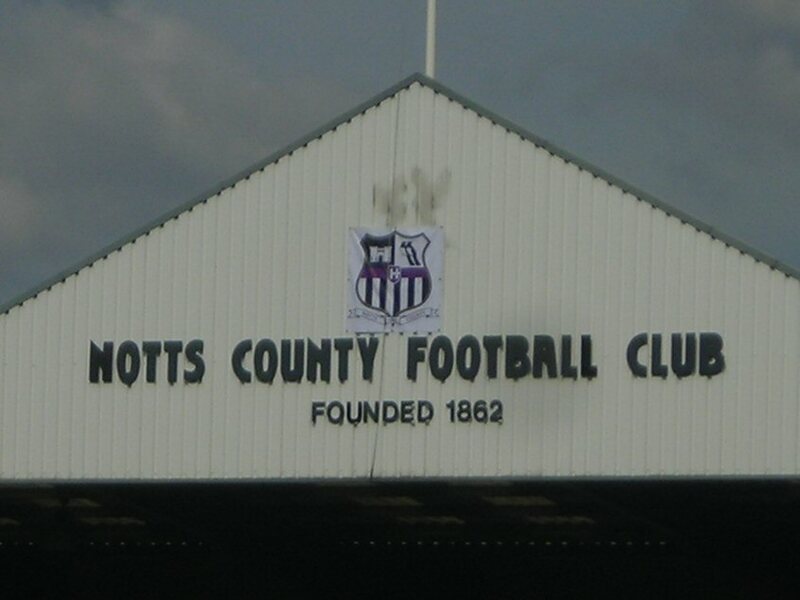 With County;s unique selling point, it seemed a pretty good business opportunity for a limited outlay and the mass marketing would have begun, as the title suggested, in time for the clubs 150th anniversary - by then, they would be two divisions higher. A great product - a global appeal. The investment never came - not from Munto nor indeed for Trembling on his own afterwards. 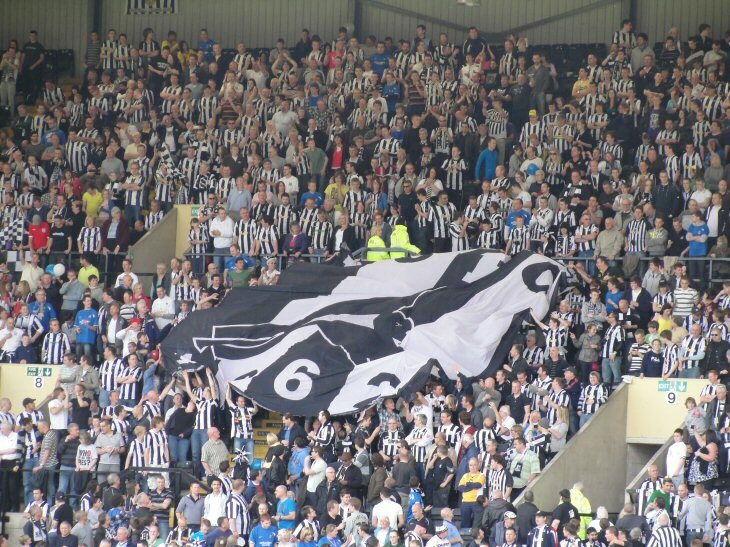 In the end, Notts were bailed out by a solid English accountant calleed Ray Trew. 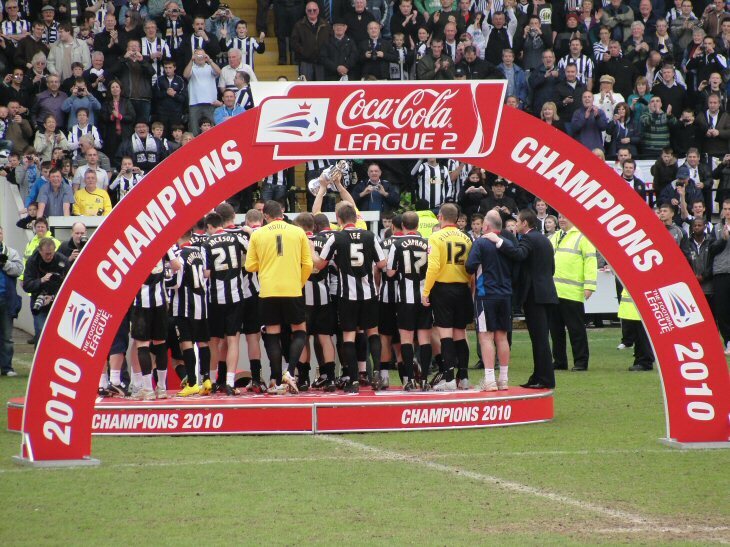 The irony of the whole process was that, as top names like Sol Campbell and Sven came and went, the Notts team assembled by McParland, continued to do the business on the field. Unfortunately, as with the previous year, the team lost faith in their manager and this time, he was replaced - first by Hans Backe, a disciple of Sven and then later by caretaker boss, Dave Kevan. It was he that kept the team on an improbable cup run and in a good league position. When Trew took over, he decided to freshen things up by appointing Steve Cotterill until the end of the season. The effect was miraculous and the side, led by goalscoring machine Lee Hughes, went on a run of 18 games with only a single defeat - winning the title by a clear ten points. So now what ? Does Cotterill re sign for Notts ? Does Mr Trew try to leap the extra stage into the Championship and relaunch Project 2012 ? 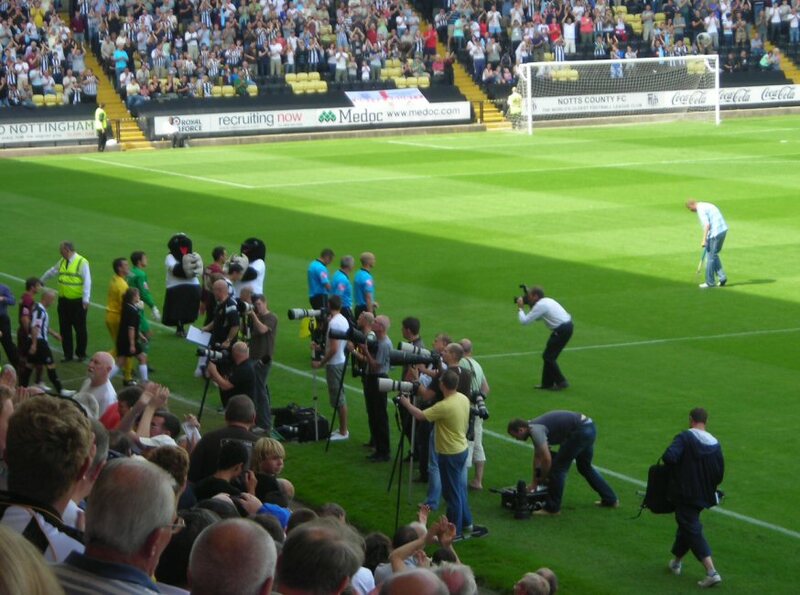 Watch this space... this is Notts County...The Greatest Show on Earth !